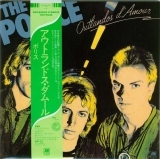 The Police's first album. The group's founder was Stewart Copeland (previously a member of "Curved Air"). The band only created five albums although the voice of The Police (Gordon Matthew Sumner aka "Sting") has continued on. 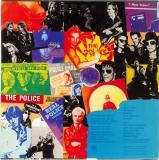 Obi:Blue and yellow "The Police, 30th Anniversary" (30th Anniversary of the band's formation in early 1977). 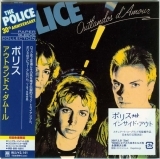 The "30th Anniversary" refered to on the obis of this series marks the formation of the band in early 1977 although Andy Summers (then the 4th member of what soon became a three member band) did not join until May 1977. All five Police albums have the same 3 core members, Copeland, Sting and Summers.